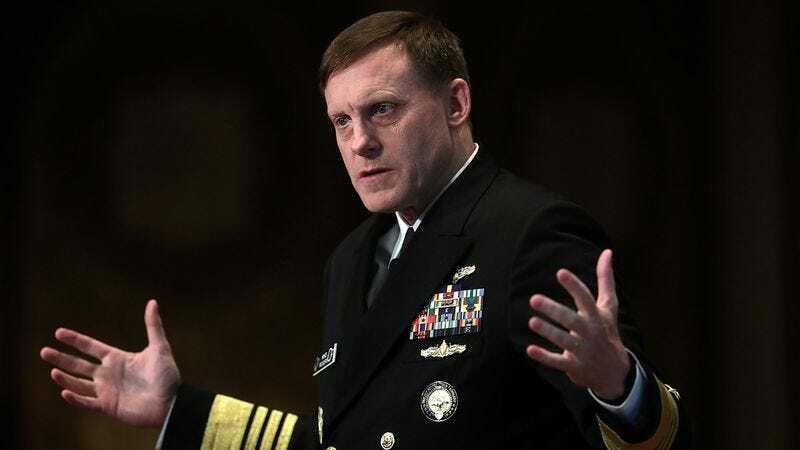 FORT MEADE, MD—Explaining that things weren’t working right and he didn’t know why, visibly frustrated National Security Agency director Michael S. Rogers called a press conference Thursday afternoon to ask if somebody good at computers could help out the intelligence organization. “We must have done something wrong and now everything’s all screwed up—is there anybody who knows computers that can fix it for us?” said Rogers, adding that he doesn’t know whether he hit a wrong key at some point or if he got “the virus,” but would just like somebody to make the agency’s computers work like they did before all this. “I’m no good with this type of stuff, and all I want to do is check my emails. Can someone just come by my office and make the problem go away? I don’t think it should take too long.” Following the press event, Rogers reportedly returned to his desk to sit and patiently wait.